The fundamental natural environment of thalassotherapy, its density of salt, high content of minerals and abundance of trace elements make seawater a source of new energy for the constitution. 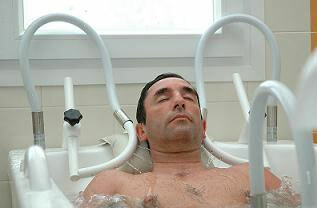 The seawater is extracted from the sea at the sites and then heated to between 31 and 35° to encourage these elements, which are extremely beneficial to health, to be transferred to the body via the skin. This comes from the mud collected at low tide. Such mud offers therapeutic benefits as it is saturated in oxygen, mineral salts, trace elements, vitamins and clay, and is capable of retaining heat and conserving water. The seaweed is freshly gathered following strict selection and is incorporated in the thalassotherapy process according to a treatment method that takes all its qualities into account. These are real concentrates with a high level of minerals and vitamins essential for the major biological functions. They are added to baths or applied as wraps, masks or poultices. Extremely pure and naturally charged with negative ions, it is the air that conveys the beneficial substances of seawater in the form of aerosols. The effect of the climate may be bracing, relaxing or soothing depending on the coast involved. To enhance the beneficial effect of its treatments, Just Sunshine has selected exceptional sites located in the most attractive regions of Tunisia, within selected hotels in the most popular resorts. Every stay involves a refreshing change of scenery and new cultural experiences. You feel the need to get back into shape, to get back tone and vitality; you need to recharge your batteries, to pamper yourself... The JUST VITALITY programme will enable you to release your body and mind of fatigue, stress and daily tensions, by making the most of the benefits of the sea or thermal waters, combined with physical and cultural activities. In addition, you can avail of the personalised advice of a team of experts attentive to your every need. You want to redesign your silhouette, find new tone and firmness, lose weight, get back former healthy and balanced eating habits... The JUST SLIMMING programme is adapted to each case depending on the reason for the extra pounds (diet, stress, blood circulation, elimination, etc.) and enables you to reach your target. A team of experts is on hand to listen and understand, and help you get back in shape and find the figure you dream of by drawing up a personalised programme, on the one hand with a combination of thalassotherapy or thermal spa treatments for cellulite and tissue toning, and on the other hand, by providing advice on diet and physical exercise. You want to recover the complexion, health and firmness of your skin by preserving and enriching its capital. You want to take care of your body, your hair, your hands... The JUST BEAUTY programme, for women and men, combines thalassotherapy or thermal spa treatments, personalised beauty care and physical activity, for renewed harmony of self and appearance. You want to get back into shape and combat the negative effects of modern life. The Anti-stress programme will help you to control your stress, to release you from negative feelings and enable you to eliminate muscular tension and joint aches and pains. Combining water treatments with the heat of massages and relaxation techniques, this cure will help you to relax deeply, to free yourself of toxins and recharge your batteries. If you suffer from circulation problems, from cellulite, or wish to rid yourself of the feeling of heavy, painful or tingling legs... 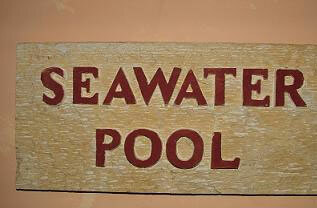 The action of seawater or thermal water is particularly effective against circulation problems. The JUST FOR LEGS programme will renew circulation, improve venous return and give you a fresh feeling of lightness. This programme is aimed at anyone wishing to relieve and combat joint, rhumatism and muscular aches and pains. Taking place over 6 days, it includes a range of preventive and curative treatments. Based on the toning, relaxing and easing properties of heated seawater, this JUST HEALTH cure will give you the necessary elements to improve your health. You are a man and want to avail of a suitable programme to you to get back into shape and take care of yourself. The JUST MEN programme meets the specific needs of men and takes account of the special nature of their skin. It combines a range of tonic treatments, relaxation and suitable physical activities, enabling you to unwind and recover vitality and balance. Call our reservations department on 0870 787 54 24 for full details.